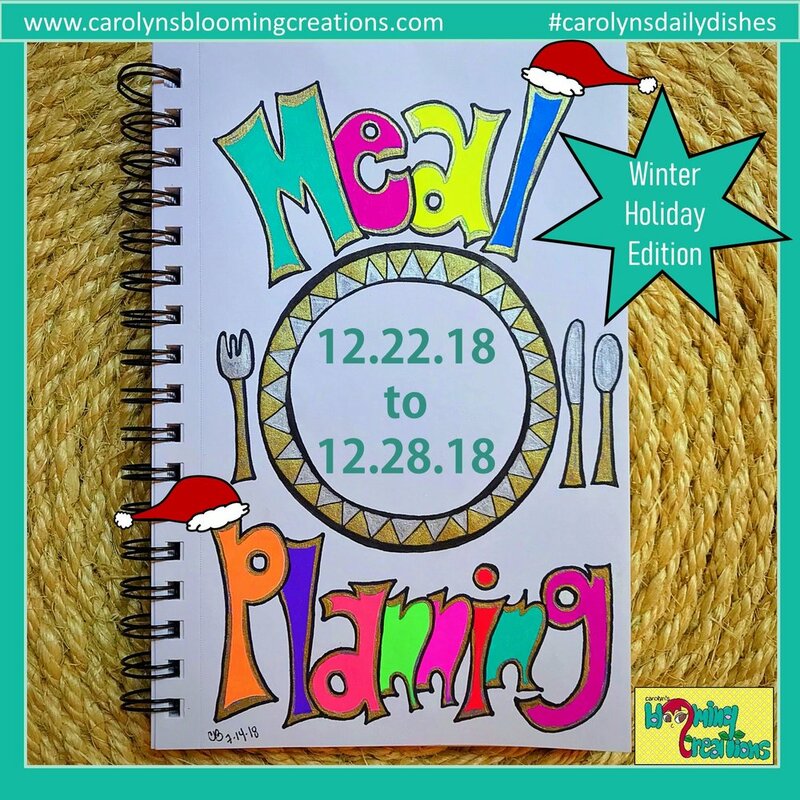 7 Day #MealPlanning with Carolyn - 12/22/2018 to 12/28/18: Winter Holiday Edition! I planned these recipes specifically this week because they have a low-prep time. Less time in the kitchen is more time you can spend with your holiday guests! Rigatoni Pasta Bake via The Recipe Rebel (I will use Lightlife Meatless Crumbles in lieu of the beef and Daiya Foods Dairy Free Mozzarella for the cheese). Spaghetti Squash with Roasted Pecan Pesto via The Roasted Root (I’ll be baking my spaghetti squash in a slow cooker to ease my dinner prep. This recipe via Natural Green Mom explains how to bake it in a slow cooker). Slow Cooker Enchilada Orzo via Damn Delicious (I’ve made this before and it is GOOD! I replaced some of the suggested product brands with all organic and non-GMO versions). Holiday Brunch: Gimme Some Tots Tater Tot Casserole via ME! Holiday Dessert: Lunch Lady Brownies via Life in the Lofthouse (I make these all the time because they are a crowd favorite! I use Earth Balance butter and almond milk to cut down on the dairy for our dietary needs. I also use coconut sugar, which is low-glycemic, in lieu of regular sugar. ).